The Office is losing another character at the end of this season. 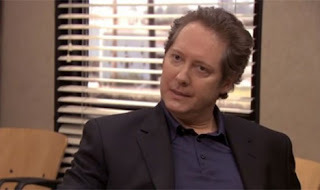 James Spader, who plays the CEO of Dunder Mifflin/Sabre Robert California, will be leaving at the end of this season. That's too bad, he was oddly funny. So now the obvious question is: who will Dwight strive to impress now?